The Pace Academy alumni network seeks to make the Pace experience a meaningful, relevant, and purposeful part of the lives of Pace alumni and the greater Pace community. Every Pace graduate is automatically welcomed into the Alumni Association. Discover ways you can become more involved with Pace and your community by plugging in to the strength of your alumni network. The Clyde L. Reese III ’76 Book Award will recognize a sophomore or junior student who demonstrates a commitment to a diverse and inclusive community at Pace Academy as well as other exemplary qualities. Introducing the Pace Academy Alumni Association's Five-Year Strategic Plan. Catch up with your fellow Pace Knights! Knights fans came together to show their Pace Academy spirit during Homecoming & Reunion Weekend on Sept. 21 and 22. Meet your new alumni board members. All Pace Academy alumni are eligible to serve on the Alumni Board. Members serve for three-year terms and have the opportunity to volunteer for a second term. The Board sets the vision and goals for the Alumni Association and helps with event planning and outreach. If you are interested in becoming more involved with the Pace Academy Alumni Association or would like to nominate someone for a position on the Alumni Board, please contact alumni@paceacademy.org. 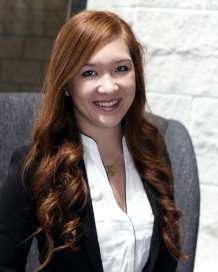 After graduating from Pace Academy in 2012, Hayley Shoji attended the University of Alabama. There, she earned a bachelor’s degree in public relations in just three years and a master’s in marketing in one.